Steve was snooping through my photos and came across this gem. 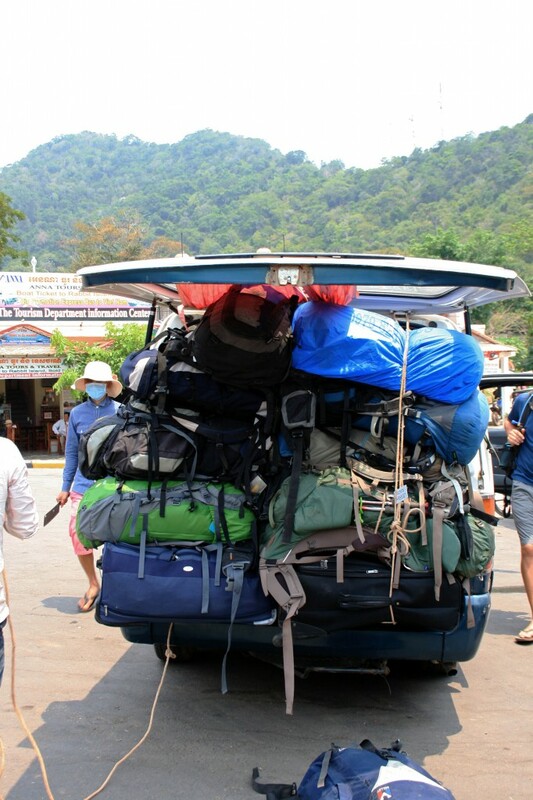 This was our vehicle….our trip started with a dead battery and the breaks going out….and ended with us making our ferry to Phu Quoc with only a minute to spare… literally. This was a seven-seater van,which in Asia equals a 15+ seater van. I was lucky enough to get a seat up front between the driver and a cranky old German… mind you there were no seatbelts and the breaks didn’t exactly work…. Notice the guy wearing the hat, mask, and wielding a meat cleaver…lol…. only in Asia!! !